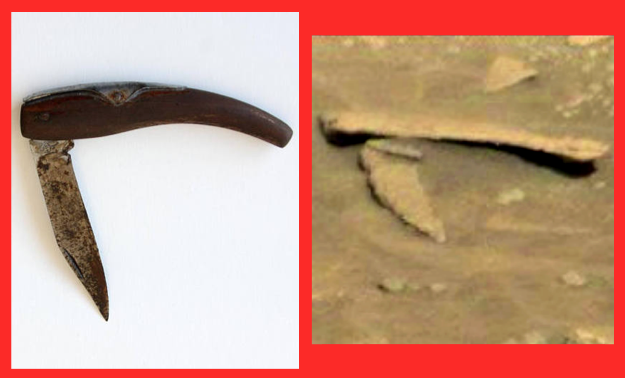 UFO SIGHTINGS DAILY: Ancient Pocket Knife Found By NASA Rover Aug 2, 2018, UFO Sighting News. Ancient Pocket Knife Found By NASA Rover Aug 2, 2018, UFO Sighting News. 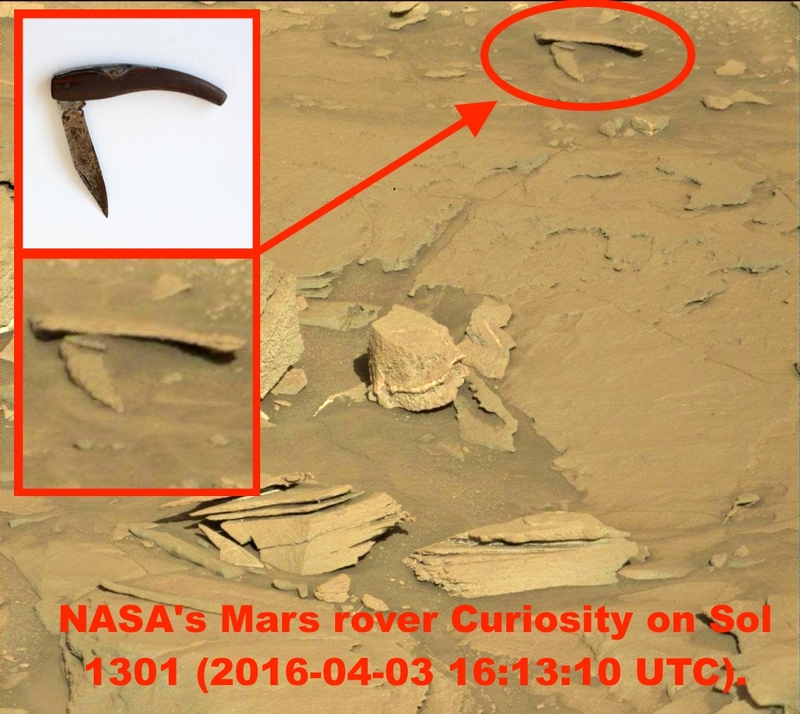 I found a giant pocket knife on Mars today in a Curiosity Rover photo. The knife is very similar to an old pocket knife on earth in appearance, however this one on Mars is over a foot long. That would make it two feet long open. Any alien with a hand that big is going to be very tall indeed. As you see, the blade of the knife had been pulled open as if it were going to be used, but then was dropped in place.